“Blue Ocean Strategy is about creativity and finding new markets that allow a company not to get involved in—and bogged down by—hyper competition” –W. Chan Kim, co-author of the book Blue Ocean Strategy: How to Create Uncontested Market Space and Make the Competition Irrelevant. During a recent Blue Ocean Strategy keynote presentation at the SHRM conference, Professor W. Chan Kim touched on the importance of a close link between HR managers and company strategists as companies navigate towards Blue Oceans. 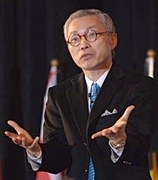 The complete article covering Professor Kim’s presentation is available via the SHRM website. Could creativity be your most prized resource?